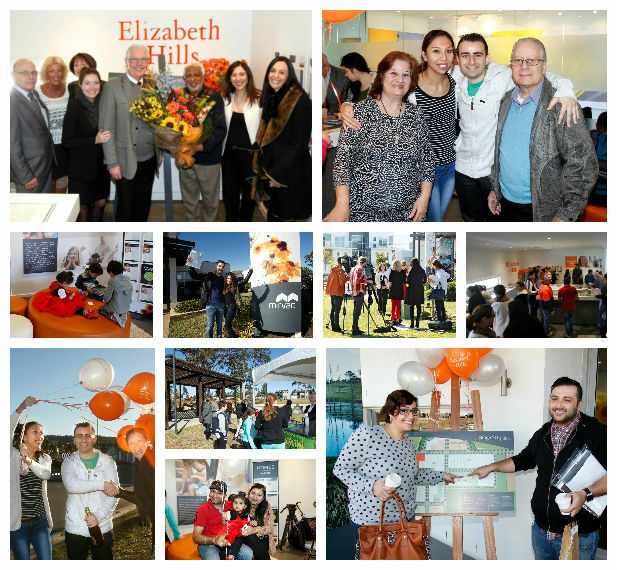 Less than three years after the launch of Elizabeth Hills, the last 28 of 892 blocks of land sold on Saturday. It was a remarkable achievement with the popularity of the masterplanned community in the Liverpool LGA, reflecting Mirvac’s “right place” approach to residential development. The atmosphere at Saturday’s release was electric with many young couples and families pinning their hopes and dreams on a last chance to secure a block of land at Elizabeth Hills. Among them were a number of first home buyers as well as up-graders who will all build Mirvac homes on their land. Prospective buyers relaxed enjoying coffee and muffins as they waited for their appointment times. After their purchaser they joined the morning tea in Newgate Park where they met their new neighbours, existing residents and representatives from Community Connections who welcomed them also. Originally launched as a 648-lot community on 56 hectares in a joint venture with UrbanGrowth NSW, Elizabeth Hills was extended to include an adjoining 244 lots on 22 hectares. Its strong selling points were proximity to major employment centres and existing infrastructure plus the high level of amenity offered with two substantial parks, cycleways, walking trails and landscaped greenspace, bridges and boardwalks along Hinchinbrook Creek. The final lot was bought by a purchaser already living at Elizabeth Hills. He bought the lucky last lot so that his children could live close by.